OVR's Orndorff Cabin-AUTHENTIC,Primitive &cozy CABIN in the MOUNTAINS OF PA!! 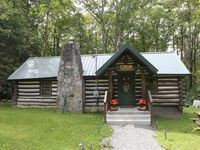 Property 1: OVR's Orndorff Cabin-AUTHENTIC,Primitive &cozy CABIN in the MOUNTAINS OF PA!! OVR's Schaefer House-All the comforts of home!Min.to Ohiopyle & Fallingwater! Property 4: OVR's Schaefer House-All the comforts of home!Min.to Ohiopyle & Fallingwater! Cozy Cabin located just 1 mile from 7 Springs ski resort. Property 5: Cozy Cabin located just 1 mile from 7 Springs ski resort. Fayette Springs--Creek House--Enjoy this Spacious Cottage! Property 12: Fayette Springs--Creek House--Enjoy this Spacious Cottage! Turning Leaf Lodge--Cozy Cottage with Hot Tub/Spa in Ohiopyle. Property 13: Turning Leaf Lodge--Cozy Cottage with Hot Tub/Spa in Ohiopyle. Cozy, rustic cabin w/ HOT TUB minutes from Ohiopyle State Park! 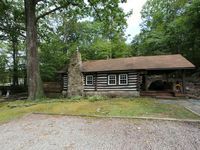 Property 14: Cozy, rustic cabin w/ HOT TUB minutes from Ohiopyle State Park! Fayette Springs House--Rustic Luxury close to trails, whitewater and winery! Property 15: Fayette Springs House--Rustic Luxury close to trails, whitewater and winery! OVR's Spoonwood Cottage-Frank Lloyd Wright inspired! Sleeps 12! Hot Tub! Property 18: OVR's Spoonwood Cottage-Frank Lloyd Wright inspired! Sleeps 12! Hot Tub! OVR's Place in the Pines! Cozy luxury cabin next to Fallingwater! Hot tub! Property 22: OVR's Place in the Pines! Cozy luxury cabin next to Fallingwater! Hot tub! FERNWALK: 5-Star cottage that's soothing to the soul. Property 24: FERNWALK: 5-Star cottage that's soothing to the soul. Once again we enjoyed a relaxing weekend at this cabin! The cabin is very well equipped and decorated. It also is very centrally located for the main tourist attractions of the area. We enjoyed our stay and would come back in the future.